Groningen Municipality's event, organised by Xsaga, showed a city's many faces. The event celebrated the king's 51st birthday in Groningen, the Netherlands, and is an example that a city can show in a few hours its various facets. 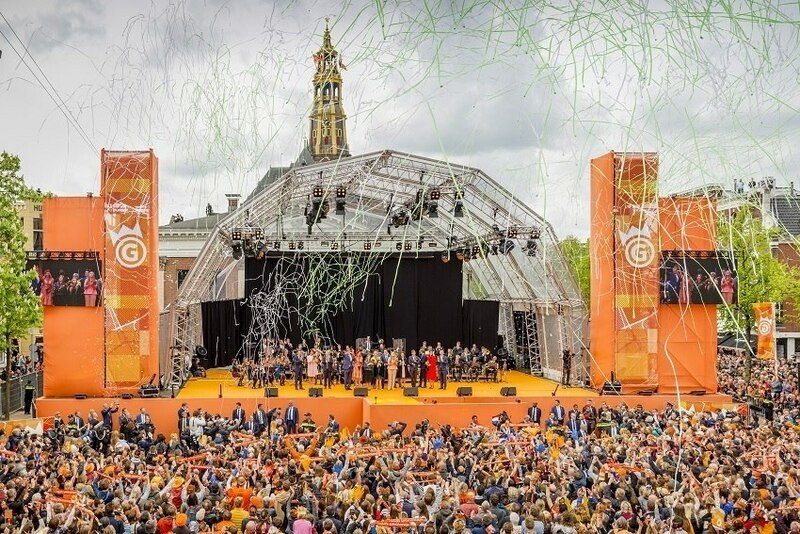 "Welcome to my Groningen" was the event's motto, welcoming the Dutch royal family and the thousands of visitors who came to the city. This Groningen initiative, which brought music, entrepreneurship, dance and other activities to its historic centre, won the first prize in the Opening / Celebration / Festivity Event at the BEA World Festival, which awarded Xsaga, the Dutch agency that organised the event, the third prize in the Best Event Agency category, ex aquo with beon. Worldwide (Spain) and George P. Johnson (UK). On a route across Groningen's historic centre, the event showed a city of art and culture, a city that takes advantage of opportunities, a city of social engagement, a city of pop music, a student city that asks questions and remains curious, and an entrepreneurial city. The event, which had strong media coverage, naturally became a promotional campaign for the city, which will keep this initiative in people's minds for many, many years. BEA World Awards: 1st Opening / Celebration / Festivity Event and 3rd Best Event Agency (Xsaga, The Netherlands, ex aequo with beon, Worldwide, Spain, and George P. Johnson, UK).